Mumbai: Commercial banks in India have unwound the interest rate swap transactions entered with Lehman Brothers Fixed Income Securities Pvt. Ltd, the primary dealership arm of the US investment bank that filed for bankruptcy this month. A primary dealer buys and sells government bonds. Unwinding is a financial term for closure of an investment position. The Fixed Income Money Market and Derivatives Association of India (Fimmda) worked closely with banks to enable them pare the exposure. Fimmda is a voluntary market body for the bond, money and derivatives markets and it has members representing all major institutional segments of the market. According to a treasurer of a foreign bank that had an exposure to Lehman, the primary dealer paid eight banks—including ICICI Bank Ltd, HDFC Bank Ltd, Merrill Lynch and Co., Citibank India and JPMorgan Chase and Co.—Rs40 crore. This is the current value of the swap exposure of all banks to Lehman. These swaps were to mature between one year and five years, but they have been closed prematurely. “RBI had asked banks to unwind their swap exposure to Lehman to avoid any negative impact on the Indian markets in case the Indian arm of Lehman is not able to meet its obligation for paucity of funds. However, Lehman India had assured banks that its India operations is well capitalized and it would honour the obligations," said another dealer, who did not want to be named as he is not authorized to speak to the media. The banking regulator on 16 September had restricted Lehman’s Indian arm from remitting money to the parent. 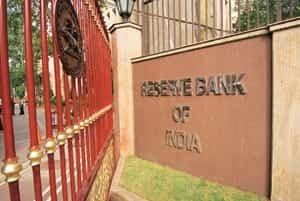 RBI has also placed restrictions on both Lehman Brothers Capital, its non-banking financial company (NBFC), and Lehman Brothers Fixed Income Securities, its primary dealership arm. The regulator had barred the primary dealer from declaring interim dividends without its prior approval and directed the NBFC to seek its approval before contracting fresh liabilities. Swap is an agreement between two counterparties agreeing to exchange one stream of cash flows against another stream. Swaps are used to hedge certain risks such as interest rate, or currency risk. The most common type of swaps is a “plain vanilla" interest rate swap. It is the exchange of a fixed rate loan with a floating rate loan. The reason for this exchange is to take benefit from the interest rate differential in two markets. Some companies may have comparative advantage in fixed rate markets while others have a comparative advantage in floating rate markets. When companies want to borrow, they look for cheap borrowing from the market where they have a comparative advantage. However, this may lead to a company borrowing fixed when it wants floating, or borrowing floating when it wants fixed. This is where a swap comes in. A swap has the effect of transforming a fixed rate loan into a floating rate loan, or vice versa. “According to the International Swaps and Derivatives Association Inc., when a company files for bankruptcy, it is deemed to be an event of default and banks have to unwind trades," said a treasurer from a foreign bank, who did not wish to be identified as he was not an authorized spokesperson for the bank.